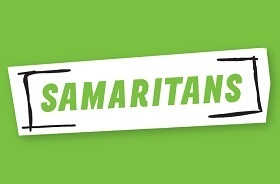 Samaritans is a registered charity aimed at providing emotional support around the clock for anyone who is struggling to cope, throughout the United Kingdom and Ireland. Samaritans is available round the clock, every single day of the year. Talk to us any time you like in your own way and off the record, about whatever's getting to you. There is no typical reason someone might call, just as there's no typical person who contacts Samaritans. You can get in touch about anything that's troubling you, no matter how large or small the issue. Samaritans have a number of branches across the region, some of which offer the opportunity to come in and talk face to face.